Welcome to Bit by Bit Ranch - a riding and lesson facility located between Milan and Medina, Tn. We are a short drive north of Jackson. Our barn consists of a handful of horse-owning families and a host of lesson students that come every week to improve their horsemanship skills. We are a very active barn, bursting with activity every day. Our families are out riding their horses constantly, lessons are in full swing, and our weekends are jam packed with showing. We are a fun-loving, drama free, and highly motivated barn. We are thrilled with our little slice of heaven and invite you to stop on by for a visit. Unfortunately, we are not accepting boarders. While we really appreciate all the calls and requests to be a part of Bit by Bit Ranch, we simply do not have the space to accept any outside horses. Check out our lesson information to find out how to join in on the fun in that way! . 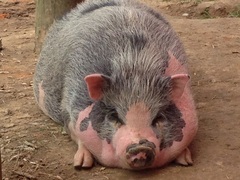 Meet Reba - our micro mini pot bellied pig. hand for a treat! Everybody LOVES Reba! 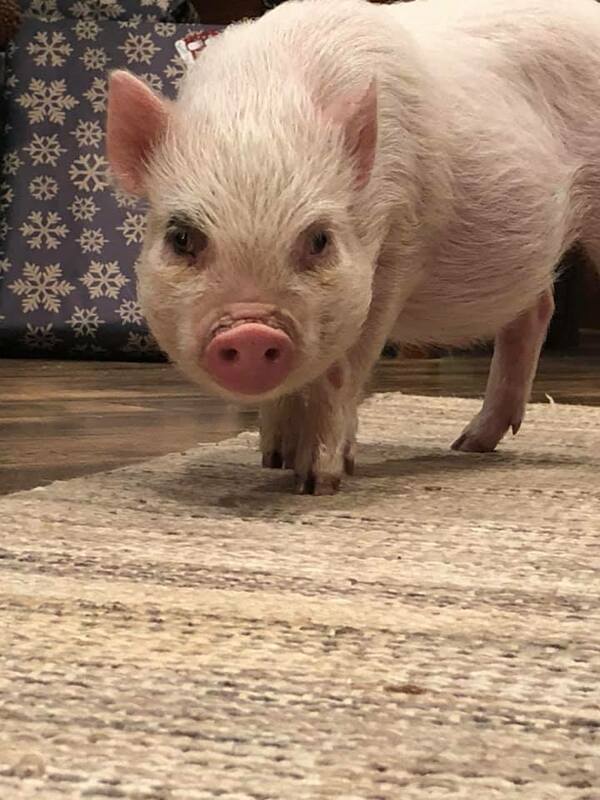 Pigsley is our newest addition mini pig! He loves to be petted and loved on! Riding a horse is not a gentle hobby, to be picked up and laid down like a game of solitaire. It's a grand passion. Grab life by the reins.